The AA Nashville Xpress were about to get swept in an April 1993 double header. But, with one out in the bottom of the last inning, Mike McDonald came up. McDonald's Xpress were down by one, with one man on. McDonald hit a home run to give Nashville a 5-4 win, The Orlando Sentinel wrote. The home run for McDonald was one of seven he would hit that year for the Twins' AA club. Those seven home runs were also the last McDonald would hit in an eight-season professional career, a career where McDonald would never reach the majors. McDonald's career began in 1986, taken by the Mariners in the fourth round of the draft out of Douglas County High School in Georgia. He played that first year at short-season Bellingham, hitting .260 in 54 games. He went 2-for-3 with a run scored and an RBI in an August Bellingham win. McDonald played the next two seasons at single-A Wausau, hitting .255 his first season and just .204 his second. But in that second Wausau season, McDonald also hit 18 home runs. 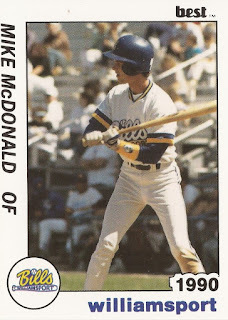 At single-A San Bernardino in 1989 McDonald improved his average to .281 and hit another 18 home runs. One of his home runs was a two-run first-inning shot in a late June game against Modesto. A jump to AA Williamsport for 1990, though, saw both categories drop. He hit .239 with just five home runs. His 1991 season only lasted 35 games at AA Jacksonville. 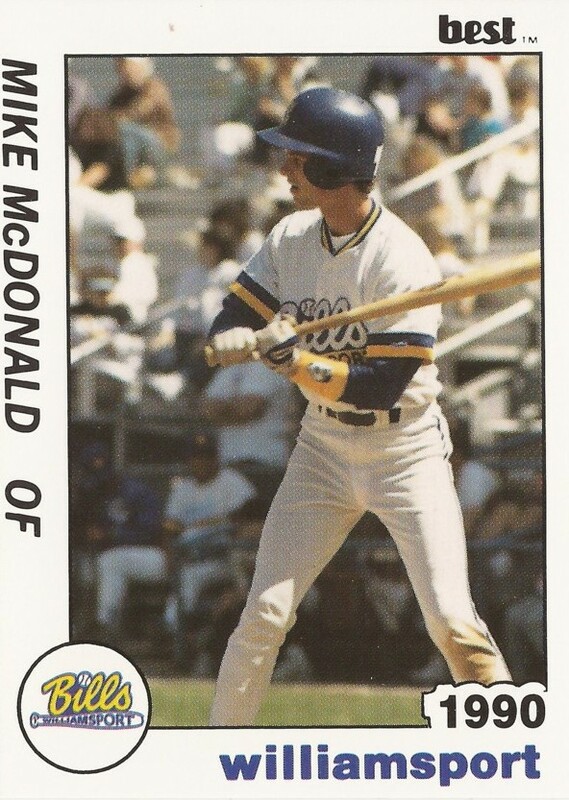 Returning to Jacksonville for 1992, McDonald hit .258 in 92 games. He also got a 15-game look at AAA Calgary, his only time at that level. In June 1992, McDonald hit a two-run home run against Chattanooga. In August, McDonald had three hits in one game. It was his last year in the Mariners system. He signed with the Twins for his final season as a professional. With AA Nashville in 1993, McDonald hit .257 in 82 games. He had two RBI doubles in a late April game, his last year in the minors.